One of six types of palleted Rainbow Wall Stone we offer. Beautiful stratified layers of color make for a very unique stone wall. One member of a family of Rainbow stone products at Wicki Stone. The most frequent base color is a tan to light brown, but accent colors in layers can include white, black, salmon, rust and dark brown. Completely natural, no man made finishing. 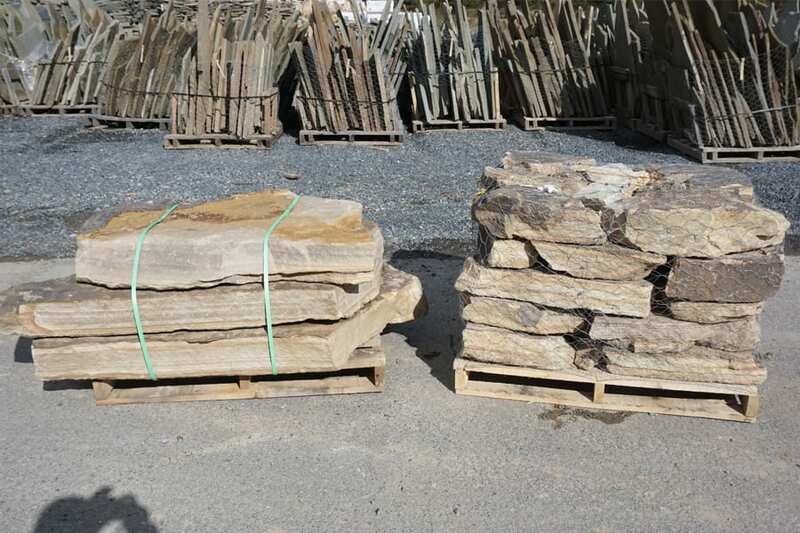 A typical pallet of wall stone covers 18 to 20 square feet per pallet of wall surface area. A pallet produces a wall 2' high and 9-10' feet long - or any combination of height / length that equals 18 to 20 square feet. 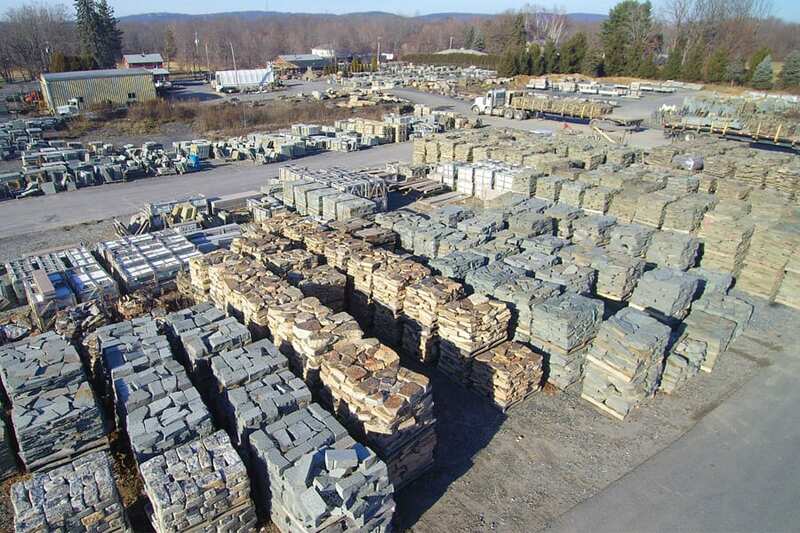 A typical pallet of wall stone covers 18 to 20 square feet per pallet of wall surface area. A pallet produces a wall 2' high and 9-10' feet long - or any combination of height / length that equals 18 to 20 square feet. A pallet typically weighs 3,000+ pounds. 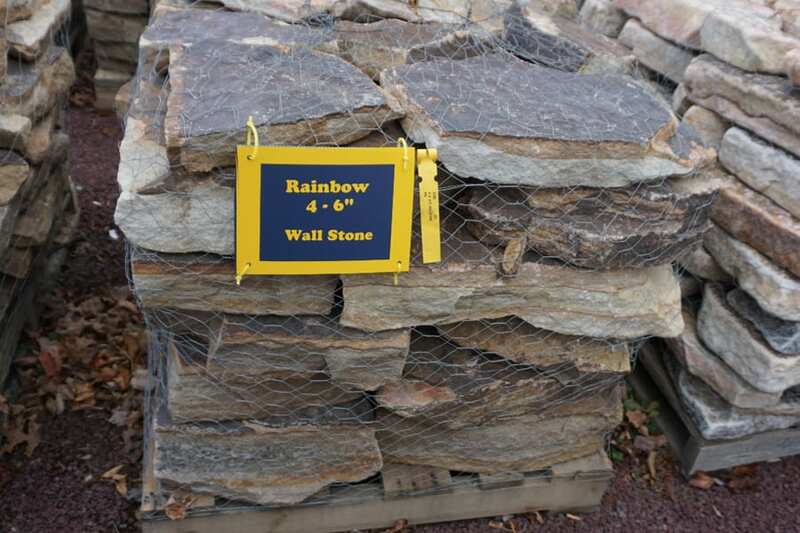 Can I mix sizes of Rainbow wall stone? Yes and some people find it easier to have a range of stone sizes when building their wall. You would have to buy a full pallet of each of the sizes you wanted to use, for instance with Rainbow we offer medium and thick versions.